If you work with mixed groups in speech-language therapy, you need to be able to target multiple goals at once. These game cards for language are perfect for customizing the target skills within a single game. 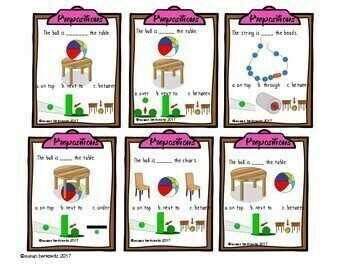 • 45 cards (many are the same, but not all) with cloze sentences to fill-in-the-blank. 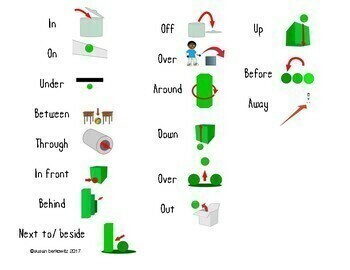 This way, both verbal and nonverbal students can play together. 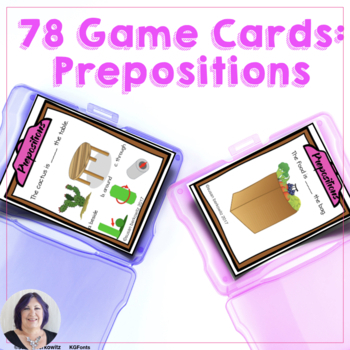 • A master reference page listing the 17 prepositions and their symbols, plus 18 symbol cards (I’ve provided 2 different symbols for over) to use throughout the day/session in context. 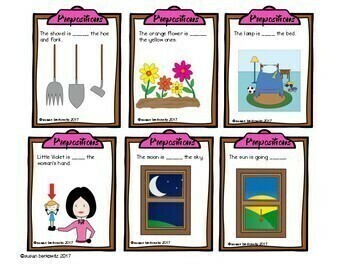 • Add these to my other Game Cards for Language decks and target each student’s targets in a mixed group. • A game board and spinner are provided.